Step back in time to the intense and blood-filled era of the Teutonic Knights and take part in an unforgettable spectacle of lights and sound! 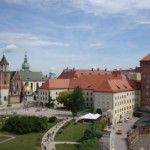 Join us for a two day trip to some of the Poland’s most picturesque Gothic towns: Malbork, Toruń, Gniew and Nidzica. Walk down the cobblestoned streets and explore the places featured on the UNESCO’s World Heritage list. Starting time: August 11, 8 a.m.
PRICE: 390 zł/person. 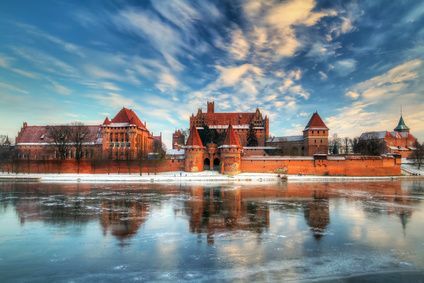 Transport, accommodation in a 2-person room (guesthouse in Sztum), tour leader, personal accident insurance (NNW), VIP tickets for the Magic Malbork show, tickets to the Malbork castle, all the necessary taxes included. Meals and any other eventual entrance fees are not included. On our way to Malbork we will stop in Nidzica, a small town with a beautifully restored Gothic stronghold perched on a high rock overlooking the town. This Teutonic castle, built in 1400, is one of the largest one-wing castles that combined the residential and defensive functions. You can enter the castle and see the museum, ticket: 8zł. Nidzica is also famous for the 19th-century Brewery building, called „Schlossbrauerei Neidenburg” (Nidzica Castle Brewery). Around 3 p.m. we will arrive at our guesthouse. After a short break, we will do to Malbork and start sightseeing. We will be just in time for the first attraction of the Magic Malbork festival: a hot latinoamerican bolero and flamenco concert, starting at 5 p.m..
After the concert we will go to the Malbork Castle, the largest Gothic castle complex in the world, covering 21 ha. It is considered to be the largest brick building in the world and is one of the most popular UNESCO World Heritage sites in Poland. Some more sightseeing around the Malbork Old Town, and a short break for an afternoon snack, and we are ready for the night! 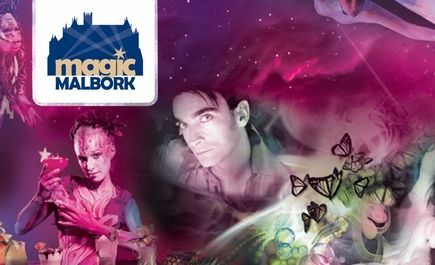 At 10 p.m. the Magic Malbork Show will take your breaths away with the lights, music and dance. If you have strenght for more, there is a concert in the Old Town from 11 p.m. till 1 a.m.! Tired but satisfied, we will leave Malbork at 10 a.m.
On our way back we will stop in Toruń, the birthplace of Nicolas Copernicus, the famous Polish astronomer. The Toruń Old Town is a UNESCO site and the biggest and best preserved Gothic residential complex in Northern Europe. You can go to the Toruń Town Hall or the Nicolas Copernicus museum. Tickets to the Town Hall: 10 zł, to the Nicolas Copernicus museum: 10 zł. We will arrive in Warsaw at 9 p.m.